How to verify the ID of System Report uploaded to Parallels? 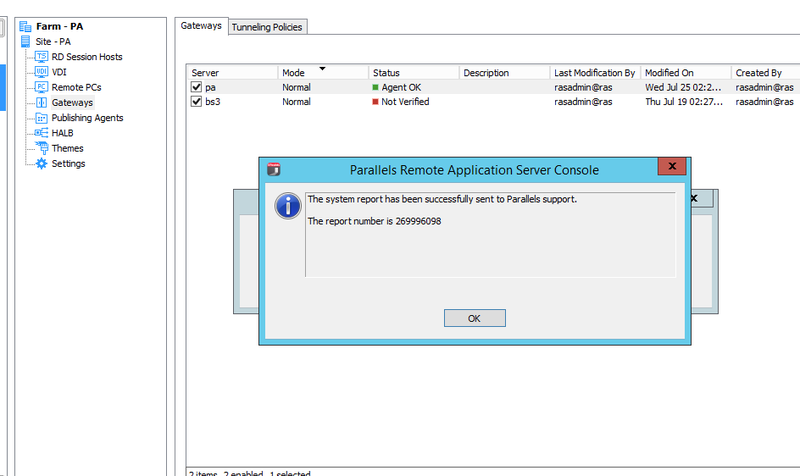 How to send System Report to Parallels Technical Support? [I 07/00000013/T00001720] Tue Mar 28 06:32:07 2017 - Report successfully sent. Report ID: 167675037.